The 2015 Fourth EsF Assembly in Ban Phai, Khon Kaen, Thailand began with an evening reception hosted by the Office of Basic Education, Khon Kaen Area 2 and the Montessori Association of Thailand. 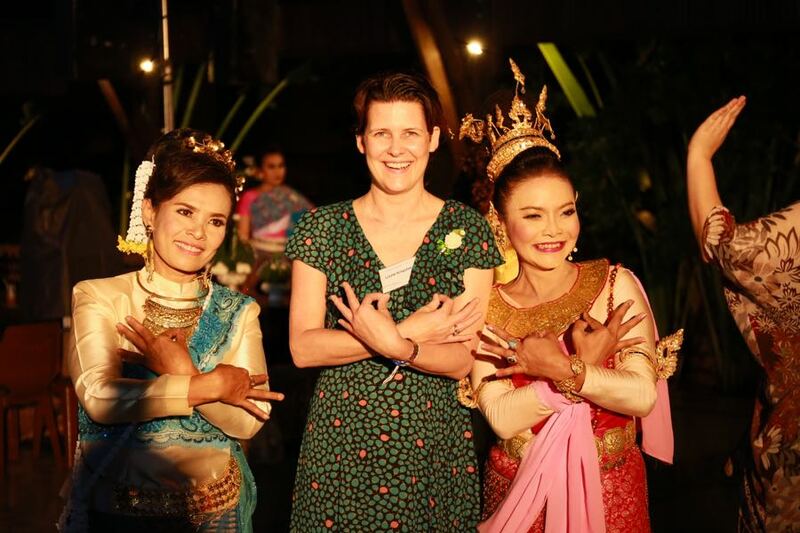 66 participants from 26 countries were treated to music and dance performed by students of the area, Participants dined upon delicious Thai food and were exquisitely hosted. Showers of rain did nothing to dampen the delegates spirits nor hindered their learning of Thai dance. The rain was an added blessing to those being so warmly welcomed in true Thai tradition.